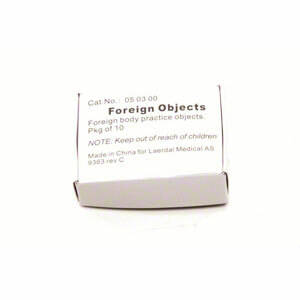 Baby Anne Foreign Objects (10 pkg). Used to simulate removal of airway obstruction in Baby Anne. Compatible with new and older Baby Anne models.